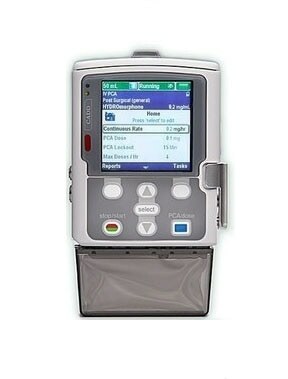 The CADD Solis 2110 is an ambulatory infusion pump that is used in a variety of healthcare settings. This pump is used to keep the patient mobile and deliver accurate medication. Using a smart pump with CADD™-Solis Medication Safety Software you will be able to keep medication errors down that have the most server outcomes.